Friday, June 3 will be an exceptional opportunity to get a glimpse of Saturn in the night sky. 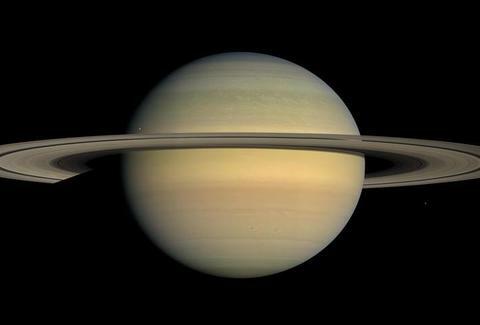 Saturn will reach opposition, giving the Earth-bound their best chance of seeing the ringed giant, which is the furthest planet that is still visible to the naked eye. The formation is called an opposition because Saturn will be directly opposite from the Sun in the sky. That means the planet will appear brighter than normal, registering a brightness magnitude of 0 (lower is brighter). That means it will be brighter than most stars in the sky. This opposition is particularly special because Saturn will be about as large as it gets, passing by just 840 million miles from where you stand, its closest approach. 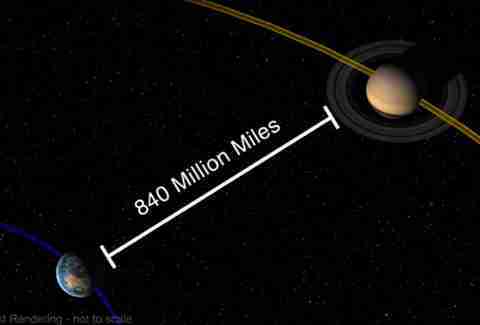 By happenstance, both Saturn and Mars are at or near opposition and on their closest pass to Earth. That will make it easier to find Saturn. Find Mars in the southeastern sky just after sunset. It will be a bright, muddy red. Just to the left of Mars will be a small, yellow orb. That's Saturn showing off for you with its come-hither rings. It's a great time to see Saturn, but you won't actually be able to see the rings unless you get a telescope with at least 25 times magnification, according to Space.com. The opposition of Saturn can be seen throughout the night, rising in the east after sunset and setting in the west just before sunrise. If fresh air and personal experiences aren't your thing, you can stream it with Slooh.org, who regularly stream astronomical events. If you miss Saturn at opposition altogether, no worries, because both Mars and Saturn will be visible for the next couple of weeks (though not at opposition like Saturn is on Friday). If you can keep all that information in your pocket, you'll be the most interesting person at the bar on Friday, as long as you can avoid going full Neil Degrasse Tyson on Gravity. Dustin Nelson is a News Writer with Thrillist. He remembers when Littlefinger was Master of Coin. Those were the days. Follow him @dlukenelson.